Healthcare is a persistent challenge in many parts of Africa, as adult mortality rates (probability of dying between the ages of 15 and 60 years old, per 1000 population) in Africa have consistently been double the global average for almost two decades. Common health concerns include reproductive, maternal, neonatal and child health, HIV and AIDS, malaria, and tuberculosis. These health challenges make long-run sustainable development and economic viability difficult. According to the Ottawa Charter for Health Promotion, adopted by the World Health Organization (WHO) in 1986, the prerequisites for health include: peace, shelter, education, food, income, a stable eco-system, sustainable resources, social justice, and equity. As many areas in Africa struggle to meet these prerequisites, the core elements of health promotion across the continent suffer. Aside from its high disease burden, Africa’s health foundation and development efforts are aggravated by physical and social barriers present in parts of the continent, including “the environment, access to clean water, food safety, nutrition, behavioural risk factors, illiteracy and extreme poverty.” For example, malnutrition rates remain alarming for Africa as a whole, as alongside Asia it bears the greatest share of all forms of malnutrition globally. In 2016, 38 percent of all stunted children and 27 percent of all wasted children under five lived in Africa. The major structural barriers to health include legislative, policy, and regulative measures that weaken and fragment health systems across Africa. One such barriers is lack of funding. The last available data collected in 2013 by the WHO shows that the average total health expenditure in the African Region of the WHO stood at US $222 per capita – a fraction of the Americas US $3,873 spent in the same year. Further, 30 percent of health expenditure in African countries is comprised of out-of-pocket payments, which can further exacerbate inequities in funding, financially restrict access to health services, and jeopardize financial security in putting many at risk of impoverishment. Such insufficient public investment in the health sector seriously hinders prospects of improving health outcomes on the continent. Using mobile phones or telemedicine to conduct remote consultations, diagnoses, treatments and follow-ups, thereby providing a mechanism for caring for those who are far from health facilities. This improve the quality and efficiency of primary care and affords the underserved and geographically remote areas services and medical expertise that was otherwise inaccessible. Kenya’s Mobile Post Exposure Prophylaxis (mPEP) initiative exemplifies how phones can reshape health care in Africa. Since its launch in 2013, mPEP has provided a system that supports those who have been exposed to or are in treatment for HIV. mPEP automates an existing protocol, using SMS messaging to track the progress and adherence of those enrolled in the system. This interactive mechanism keeps people on track for their testing and even sends reminders if notifications are ignored. Importantly, supervising health providers are kept in the loop, copied on all correspondence so that they can actively keep up with their patients. 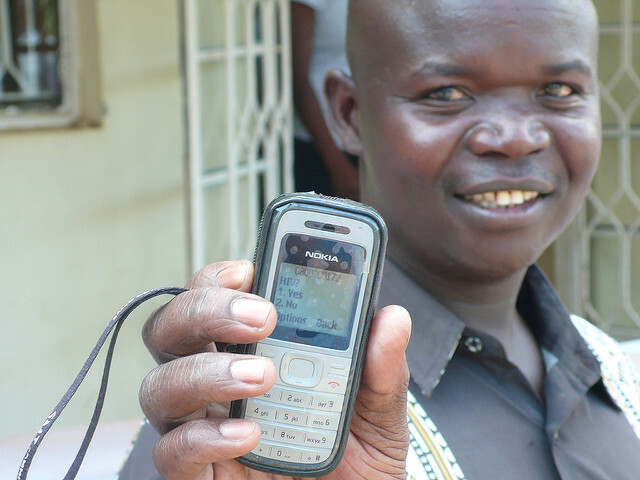 Another component of mPEP is Text for Life, a system that notifies where and when blood donation centers need blood, tapping into a blood door base in Kenya – where donating blood is not common. Text for Life exemplifies how mHealth provides solutions to structural barriers, allowing Kenyans to navigate low blood donation supplies. All blood donated is screened for infectious diseases, but prior to Text for Life, blood donors were not notified when their blood tested positive for an infectious disease. Text for Life addressed this gap in the blood donation system, notifying all blood donors who test positive, and advising them to seek professional help. mPEP taps into the growth in mobile technology through private-public partnerships that realize improvements in health care coverage and saves lives. India launched two mHealth service initiatives: mTabaccoCessation, a mobile phone tobacco cessation service, and mDiabetes, a text messaging service that issues diabetes education. The successes of such mHealth initiatives can be partially attributed to the high penetration of mobile communications in India, as the country has over one billion mobile phone subscriptions. mTabaccoCessation reached full force in January 2016 and was adapted from a global handbook to be specifically implemented in India. The handbook helps people quit smokeless tobacco and is available in both English and Hindi. While 160,000 people registered for the service during its first week live, since June 2017 more than 2 million people in total have registered. Whereas national tobacco cessation clinics service around 35,000 people in 5 years, mobile technology multiplied this number by almost 57 times in just 8 months. The introduction of SMS cessation services is estimated to be 2-3 times more effective than any traditional cessation services alone. mDiabetes is a SMS messaging service designed to mitigate diabetes risk behaviors, increasing exercise and fruit, vegetable, fat intakes, and awareness regarding the causes and complications of diabetes. Clinical trials for mDiabetes in India demonstrated that text message intervention is feasible and evidences, from its initial success, that it is an effective platform for improving diabetes-related behaviors, ultimately demonstrating its potential use, in low/middle income countries, to facilitate population-wide behavior change. India’s success applying mHealth initiatives to address their country-specific health gaps demonstrates the powerful changes that technology, especially mobile phones, can introduce to health care. African countries could potentially devise their own mHealth initiatives to address specific health concerns, servicing their populations with the touch of a button. Like India, African mHealth initiatives could be offered in a variety of languages, and even feature a voice component so as to navigate around literacy challenges. While not all health problems are avoidable, mHealth can help with rehabilitation or living with disease, as it has in India, and drastically reduce risk-inducing behaviors and the onset of preventable diseases. African countries should take advantage of mobile penetration and the diffusion of technology to devise country-specific mHealth solutions to better treat patients, conduct research and educate, track diseases, and monitor public health. Africa’s already high mobile penetration rate is only expected to grow; it is estimated that in 3 years there will be more phones in Africa than in the United States. mHealth can address the financial burden of the health care sector as well, allowing hundreds of millions more people access to medical care at lower costs. mHealth has the potential to help balance the supply and demand of Africa’s health care resources, improving overall well-being. Most importantly, mHealth shifts the health landscape from curative to preventative care, saving all involved parties time, energy, and money. As opposed to curative measures, a focus on prevention can control and eliminate disease, ensuring health sustainability. Improvements to Africa’s health systems are the key to achieving inclusive and sustainable growth and can in turn provide a foundation for and reinforce good governance, peace, and economic prosperity. Allison Elkman was a former intern for the Africa Program in the summer of 2017. Failure to grow both physically and cognitively in line with others of that age. Too thin for height, as a result of rapid weight loss or failure to gain weight.